With a well-marked pathway from preschool through high school, the dense New Jersey city is a model educator for newcomers—and America at large. This article has been adapted from David L. Kirp's new book, Improbable Scholars: The Rebirth of a Great American School System and a Strategy for America’s Schools. Most school districts do a rotten job of educating immigrant youngsters. Routinely, they are shunted to poorly funded, overcrowded and understaffed schools, where teacher turnover is high and expectations low. They leave school prepared only for the brawn-work and domestic labor that no one else will touch. Union City, New Jersey, four miles and light years from Times Square, has turned this narrative of failure on its head by bringing students like these into the education mainstream. The city makes an unlikely poster child for urban education. It’s one of America’s poorest and most crowded municipalities, with an unemployment rate nearly 50 percent higher than the national average. The population is overwhelmingly Latino, and it’s estimated that a quarter of the residents are undocumented—“sin papeles,” as they say. Three-quarters of the students are growing up in homes where Spanish is the language at the dining table and telenovelas, not reality shows, are the TV staple. In other cities with similar demographics, many of these students would drop out or flunk out. In years past, that was the case in Union City. But now the situation is completely reversed. Here's the headline: scores on the high-stakes reading and math tests approxi­mate the statewide average. What's even more impressive, in 2011, 90 percent of the students graduated—that’s more than 10 percent higher than the national average—and nearly 75 percent enrolled in college. Step by step, from preschool through high school, Union City has devised a strategy that any school district can use. Preschool plays a pivotal part in Union City's success. Iconic field studies have shown the powerful life-long impact of good early education. "Skill begets skill"—that's how Nobel Prize-winning economist James Heckman sums up the research. Outside evaluators give Union City’s early education program high marks for the education it delivers. Seeing is believing. In Suzy Rojas's class, art plasters the walls, plants hang from the ceiling, and in every niche there's something to seize a child's imagination. Angel, Victor and Rodrigo are peering at insects through a microscope, and they're happy to explain to me what they're seeing. "Are these all insects?" Suzy wonders aloud. "How do you know?" "That one has eight legs," Victor responds," and that means it's not an insect." Then Suzy brings over a prism. "What do you see when you look through it?" she asks, and Rodrigo looks up to say that he can't tell them apart, that they look like leaves. "Why do you think so?" The youngsters have already learned about lenses, and she tells them that the prism is a special kind of lens." When Victor and Rodrigo start fighting over who gets the next look at the lens, Suzy tells them to "use your words." That's familiar teacher-talk, but then she adds a twist. "What can we do"—we, not you: the boys think about it. "How about adding another container for insects—that way you can all take turns." "I think of preschool as the Magic Kingdom," says Adriana Birne, who runs the district's early education program. "Whatever is happening in the rest of these children's lives, this is a wonderful place to be." Even the kids who come to preschool without knowing a word of English are primed for kindergarten. Learning America goes most smoothly for youngsters who cross the border when they are very young, because they have the blessing of time to grasp English in a bosomy setting. Three or four years later they’re truly bilingual, and they're doing as well as kids born in the United States. But the older they are when they come to the US the greater the test they pose. The education of a new arrival varies with how much English they know as well as their academic aptitude. Though that might sound obvious, it's the decided exception. In several states, California and Arizona among them, bilingual education has been abolished, politics triumphing over pedagogy. Elsewhere, youngsters in the throes of mastering a new tongue go straight from a bilingual class to an English-only class. There, the students have been speaking English all their lives and the teacher hasn’t been trained to address their particular needs. Not surprisingly, these youngsters often flounder. In Union City, by contrast, immigrant kids are eased into English, lesson by lesson and student by student. Alina Bossbaly, who teaches third grade, is constantly in motion, whirling like a ballerina from one small group of students to another, one youngster to another, giving hugs and tousling hair, switching languages in midsen­tence, English to Spanish and back again, with the occasional bit of Span­glish tossed into the linguistic pot. “Mi corazon,” she murmurs, “mi amor.” When she reads aloud to the class, shifting between the Spanish and Eng­lish translations, she acts out all the parts, her expressions as evocative as a mime’s. Students who arrive as teenagers, about a sixth of the high school population, have the hardest time making the grade. Many of them have spent only a few years in school before coming to the US, and they read and write Spanish at a grade school level. They know nothing about paragraphs or punctuation, fractions or photosynthesis, George Washington or Simon Bolivar. A high school diploma marks the first step on the path to a decent life—high school graduates earn 25 percent more than dropouts—but to graduate, and maybe continue on to college, these youngsters must squeeze half a lifetime of school into three or four years. Surprisingly, many of them do just that. The education of teenage newcomers with the shakiest skills starts, in Union City, with a "port of entry" class. Students' progress is regularly monitored, and those who do well move swiftly into English as a Second Language courses, then into an English class designed to prepare them for English-only instruction. By the time they're seniors they'll have disappeared into the general population. Laura Maczuzak, who is introducing a class of eleven port of entry stu­dents to the rudiments of English, is working her way through the words that describe different facial features. “What is hair?—show me. Does any­one in the class have red hair? How about a moustache? Dimples? I’m the only one with wrinkles,” she jokes. When she asks who has a scar, every hand pops up—in this class, everyone bears a scar on his face. Later, these teens will take Sophie Karanikopolos’s English class, one of the new, almost-mainstream classes. This is the last time they’ll be treated specially because they are native Spanish-speakers; next semester they’ll be in a regular English class. It’s October, which Sophie, mindful of her students’ True Blood fixation, has turned into Gothic romance month, and the students are reading Edgar Allan Poe’s “Telltale Heart” and “The Pit and the Pendulum.” A year earlier, in an English as a Second Language class, they would have parsed the text line by line to check for comprehension. Here they are dis­secting Poe’s use of suspense, and unless you’d been told, you would never suspect that this isn’t a garden-variety English class. "What's crucial," she adds, "is that the high school has thought through the pathway to graduation. Most places have a set view of what all students take in a particular grade. They put students into empty desks rather than determining who is the right teacher and what is the best plan for each student. They also get these kids into mainstream life of the school, sports and after-school activities as well as academics." This June, 600 seniors will walk across the stage, shake the principal's hand and receive their diplomas. Two of the top ten graduates came to the US just four years ago, and when they arrived in Union City they knew no English. As you might expect, this school system does well by all its students, not just the newcomers. 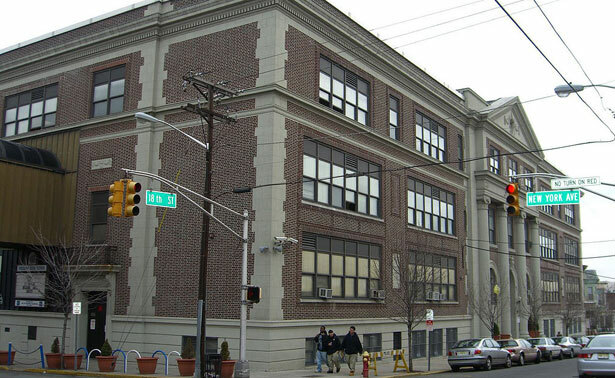 In a 2012 study of 22,000 high schools, the American Institutes of Research rated Union City High among the top 20 percent and a few years back the district passed a soup-to-nuts state review with flying colors, the only urban school system to do so. The fact that Union City is handsomely funded, thanks to a New Jersey court ruling that funnels extra state dollars to the poorest districts, makes a considerable difference. But many districts that are just as well supported haven’t done nearly as well academically. Union City hasn’t bottled a magic elixir. Quite the contrary, it has stuck with the tried-and-true, tweaking its program as needed but keeping its the basic strategy, constructing a system of supports, like the finely granulated program for newcomers which reaches from preschool to high school. That’s the takeaway for school districts nationwide as they ponder how to give immigrant kids the education they deserve. It’s standing room only for the 2011 graduation ceremony. Amid the round of valedictory addresses, a senior named Hamlet Diaz steals the show. Hamlet, a blind student, knew no English when he came to Union City from the Dominican Republic as a boy. He speaks movingly about how he learned to read and write in Braille—how he was able, with lots of help along the way, to make it. The superintendent is crying, the principal is sobbing. Massive linemen from the football team, sitting shoulder to shoulder, have tears in their eyes. You can’t find a dry eye in the house. That’s the American dream come true—and there’s no reason why it shouldn’t be within reach of every kid in America. With integration-oriented busing coming to an end, Boston's poorer students of color are in for a hit. Read Allison Kilkenny's take.